"Bad Hamlet is incredibly interesting... powerful and wonderful to watch"
BAD HAMLET is an experimental performance piece, initially developed in 2006 as a graduate class exercise, that explores the similarities and differences between the two published versions of Shakespeare's Hamlet: the familiar version published in the 1623 Folio, and the unauthorized "Bad" Quarto published in 1603. 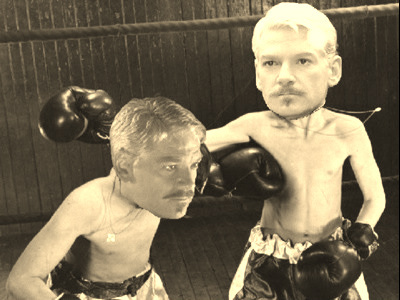 The latter, a shorter, leaner, less poetic version of the story, has only recently been given its due. But simply to perform the Bad Quarto isn't enough: how do the two versions compare, complement or contrast with one another? Reading only gives the merest hint; Shakespeare’s plays were written to be performed, and thus we’ll take this literary comparison to the stage. 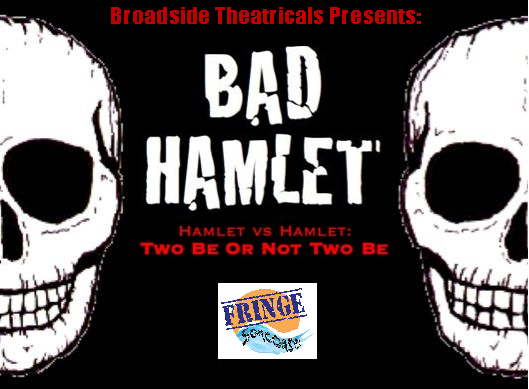 BAD HAMLET is a condensed, stereoscopic version of Hamlet in which the two texts are performed simultaneously; sometimes overlapping, sometimes in a Shakespearean 'tennis match,' with two Hamlets, two Ophelias, two Gertrudes, two Claudii, two Polonii, two Laerteses, and the Quarto's Player and Ghost, all under an hour, performed by a cast of six in a minimalist setting. As a stereoscope takes two nearly similar photographs and combines them to create a 3D image, our goal - by simultaneously performing two versions of the same play - is for the subtle and not-so-subtle differences in the two texts to create a meta-Hamlet that provides additional depth and dimension to the emotions, motivations, and poetry of one of the greatest works of English literature.